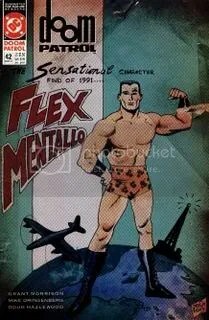 The True History Of Flex Mentallo! | Awesomeness For Awesome's Sake. 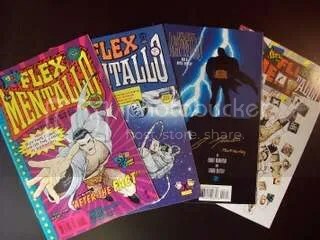 The True History Of Flex Mentallo! 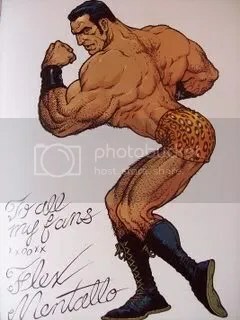 FLEX MENTALLO MAN OF MUSCLE MYSTERY! 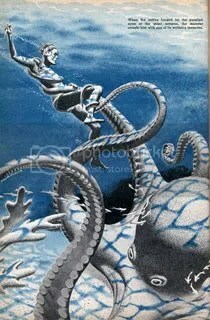 I searched all over the interweb for the true origins on this superhero’s creation and I kept coming up with was some gibberish about some hack comic book writer named GRANT MORRISON?! What gives? 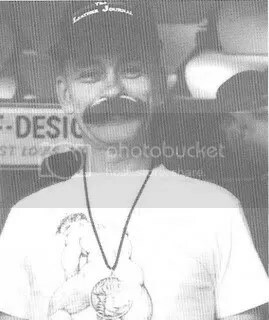 has everyone forgotten about CHUCK “THE CHIEF” FIASCO, ASHLEY DUBOIS, and WALLACE SAGE?! There were some ups and downs with Flex and comics in general…but the 1960s were right around the corner…and so was Wallace Sage! 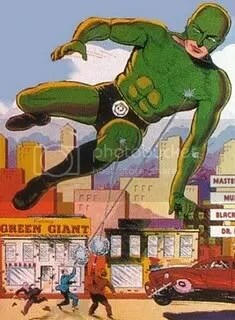 “In 1959, however, a new Flex Mentallo returned on the cover of Stellar Comics’ “My Greenest Adventure” #159. 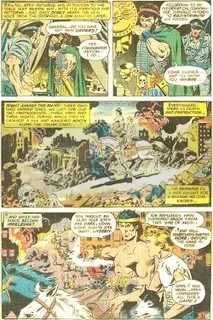 This comic had survived for seven years on one gimmick–all the stories revolved around the color green in some way–but the novelty was beginning to wear thin. 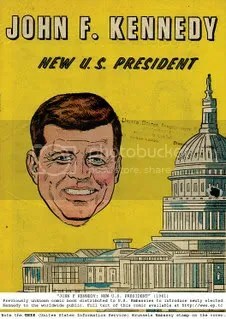 “It all came to an end in November 1963 when Flex Mentallo #127 featured a story called “Who Stole the President’s Face?” This uncharacteristically unfunny farce dealt with Mr. Quizmatiz’s efforts to embarrass the President of the United States by stealing his face and attaching it to various animals and pieces of furniture and walls and so on. The President himself, unable to see, talk or blow his nose, spent much of the time tripping over his dogs, his wife, his brothers and several world leaders, including the by-then-long-dead Gandhi. “The glory days were over, however. 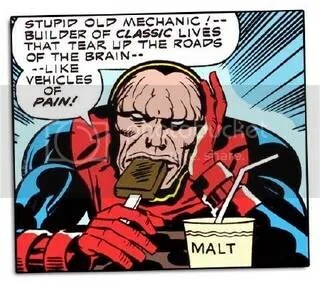 After a few lackluster attempts to create new characters–the forgettable Giggle-O and Pocketman–Wallace Sage dropped out of comics, becoming an almost mythical figure in the process. 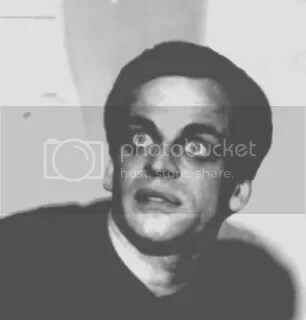 He never wrote again, and fans have often speculated as to his whereabouts and current status. 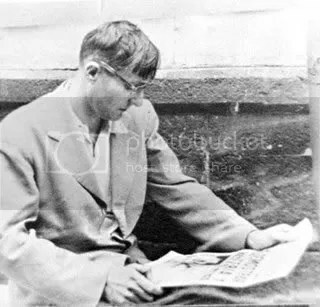 In fact, Wallace Sage died in 1982, a broken, penniless wretch. 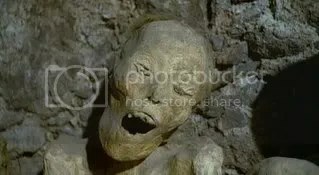 His talent destroyed by drink and drugs, his once desirable features gnawed into a bloody ruin by tertiary syphilis and face cancer, he was buried in an unmarked pauper’s grave. Wow…those comic book creator types sure were a strange and wonderful bunch…except for this Grant Morrison fellow…what a talentless bore. Many thanks to this website for their help.